Text by Tim Logan; photographs by John Tlumacki. 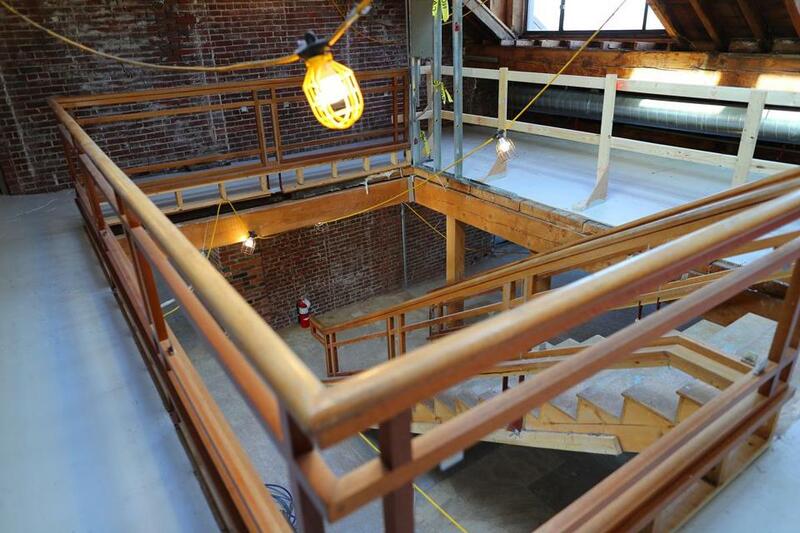 One of Boston’s most enduring 19th-century buildings is being reborn. 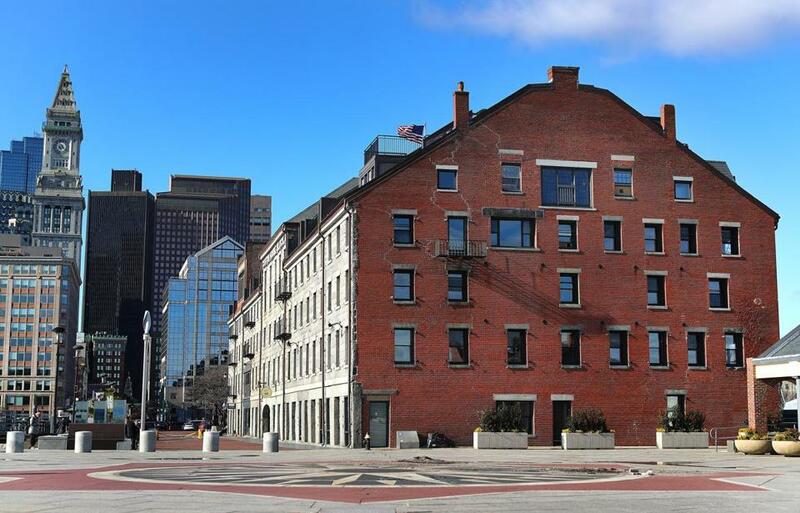 Custom House Block, on Long Wharf, is getting a gut rehab by a new owner, Capital Properties. 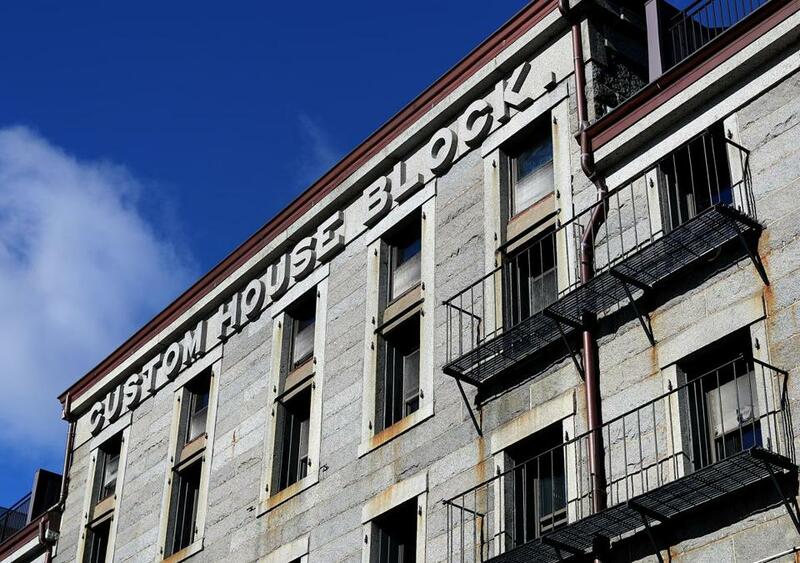 The granite building, originally a warehouse that later housed apartments and offices, is being rebuilt to expose bricks and beams, with an eye on luring tech or creative tenants. The challenge, said the New York developer’s David Rattner, is to convert a building built in vertical sections into one with the broad open spaces popular for industrial-style offices. That includes new windows and using loft space under a peaked roof. And the foundation will be improved to better cope with flooding. Capital, which paid $34 million for the circa-1848 Custom House Block and neighboring Chart House restaurant, is betting their original features, new touches, and water views, will impress. A railing on a fifth floor staircase. 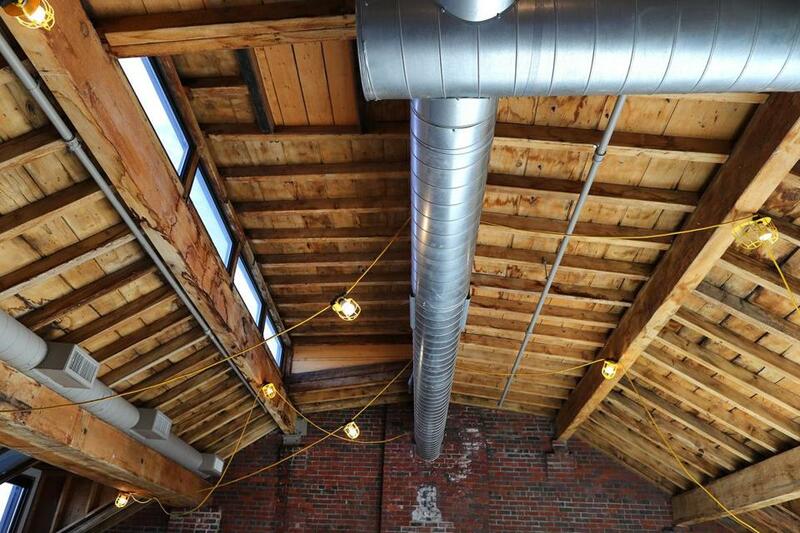 The beams on sixth floor’s ceiling support the roof. 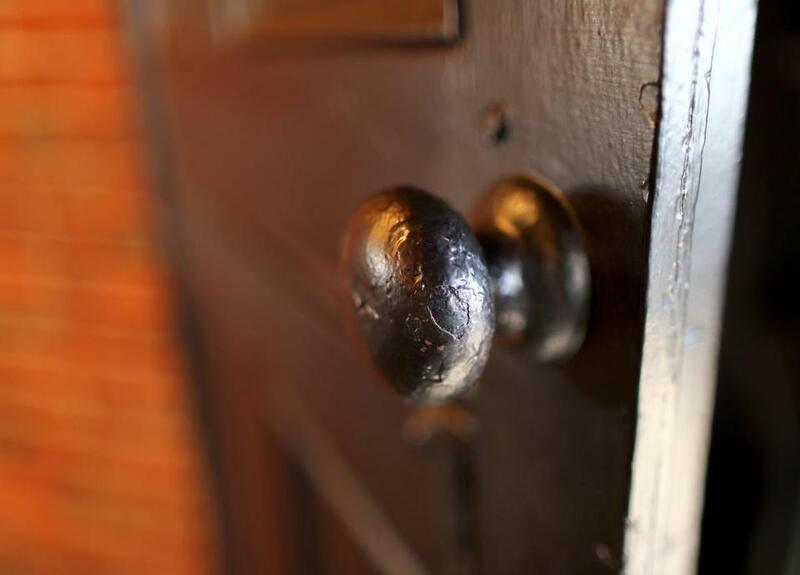 A well-used doorknob on the steel door of an old safe. 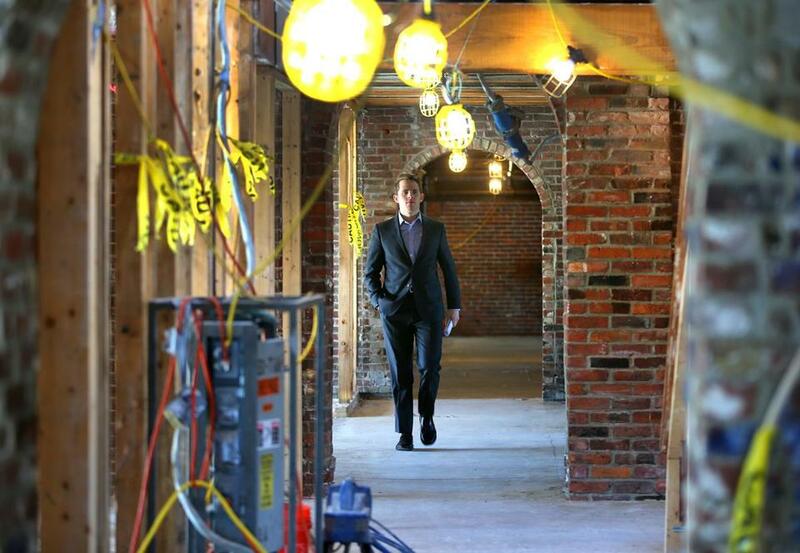 Capital Properties’ David Rattner observed the ongoing work. 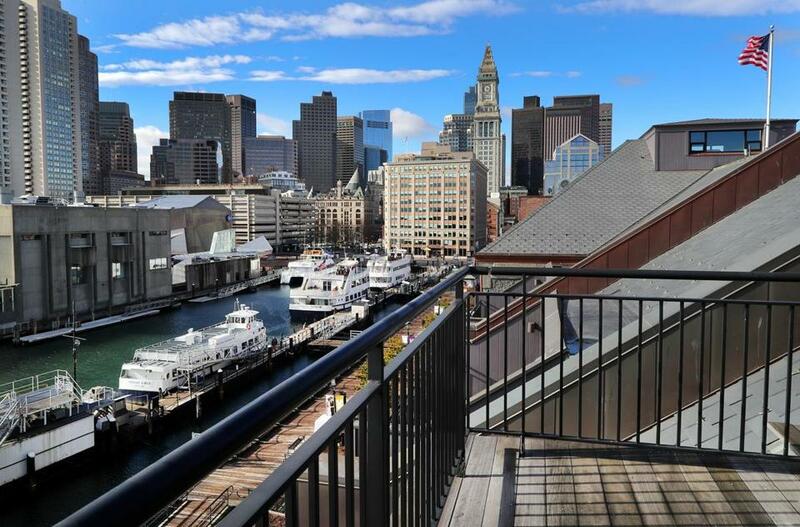 The view from the balcony on the Custom House Block’s top floor.